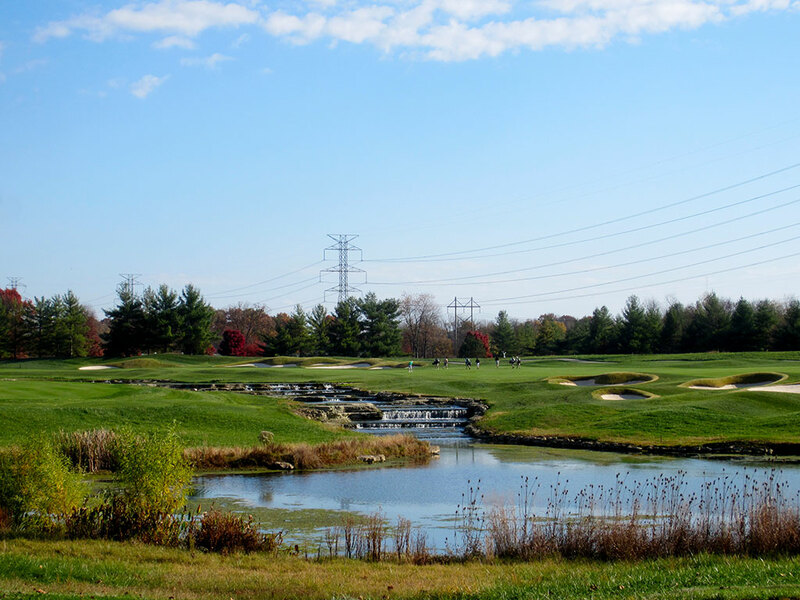 Course Website: Official Website - Visit Valhalla Golf Club's official website by clicking on the link provided. 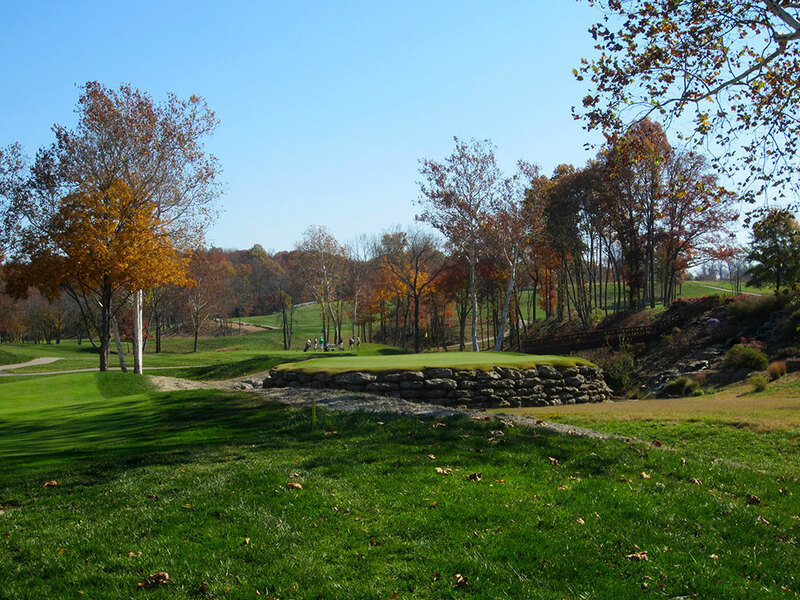 Accolades: Ranked 1st in Kentucky on Golf Course Gurus' Best in State list. 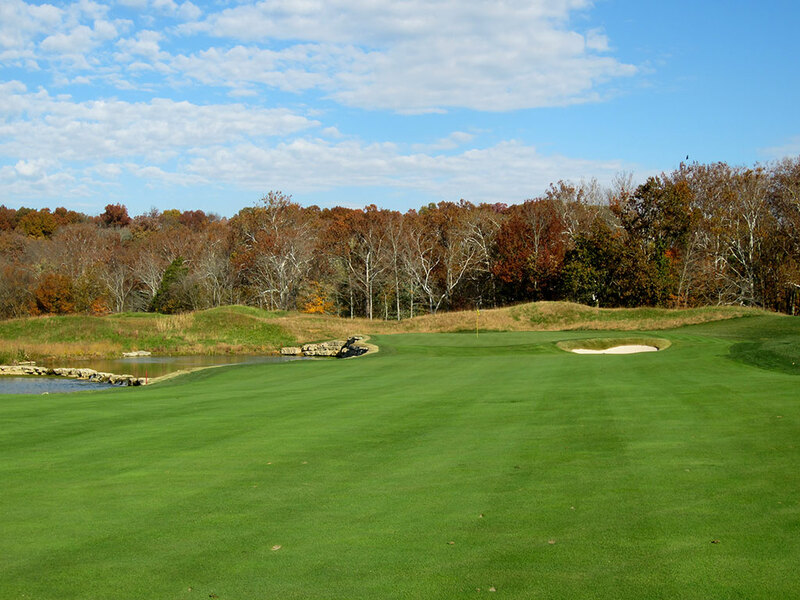 What to Expect: Valhalla is a Jack Nicklaus design located east of Louisville on a beautiful 486 acre property that features rolling terrain, water features, and a perimeter of trees. 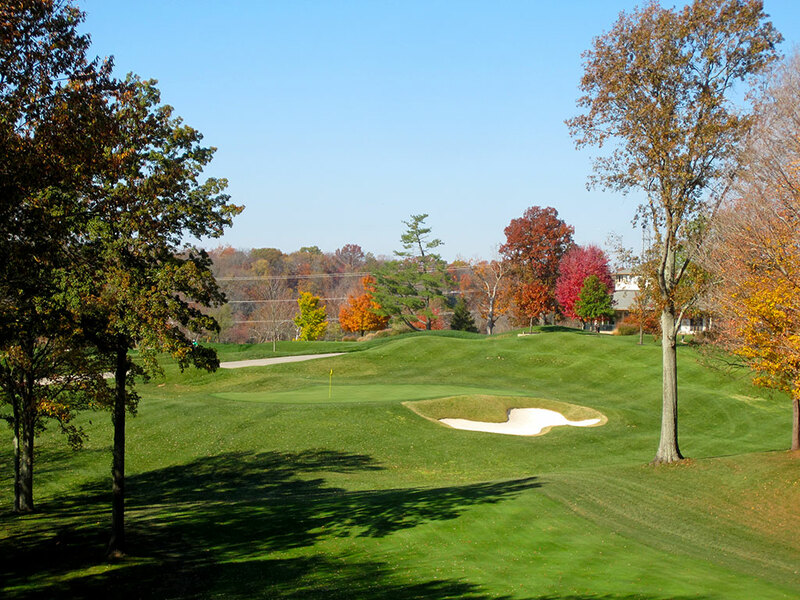 The PGA of America completed a purchase of the private club in 2000 and utilizes the course to host major events including the PGA Championship twice (3rd time in 2014), Senior PGA Championship twice, and the 2008 Ryder Cup where the Americans were victorious with local Kentuckians Kenny Perry and J.B. Holmes on the squad. The club encourages players to walk their round and thus staffs a large contingent of caddies ready to enhance your experience. The front nine is more open than the tree lined back nine and the elevation changes throughout the course are gentle and pleasant. The #1 and #2 handicaps are two excellent par fours that are well worthy of their high rating and the picturesque par five finisher is a hole not soon forgotten. As is typical at most major championship courses, the practice facility is top notch and the conditioning is beautiful from tee to green. Over 60 bunkers are scattered throughout the routing and water comes into play on a half dozen of the holes. The greens began reconstruction in 2011 and reopened in September a year later with new contours and excellent putting surfaces. In the end, Valhalla is a pleasantly enjoyable course to play that features an impressive balance of attractive, risk/reward, and challenging holes. Signature Hole: 13th Hole – 355 Yard Par 4 – Valhalla's signature hole comes midway through the back nine and gains its status due to the island green that is supported by a wall of rocks and surrounded by water. Just 355 yards from the back tee box, this dogleg left hole gives golfers a reprieve from using driver and sets up one of the shorter approach shots of the day. During one day of the 2008 Ryder Cup, a shorter tee box was utilized in hopes of enticing the pros to take a rip at driving the green. But with the nation's pride on the line, the safe play was employed by players; understandable given that hitting your driver 300 yards with enough backspin to hold an island green is a daunting task even for the big boys. 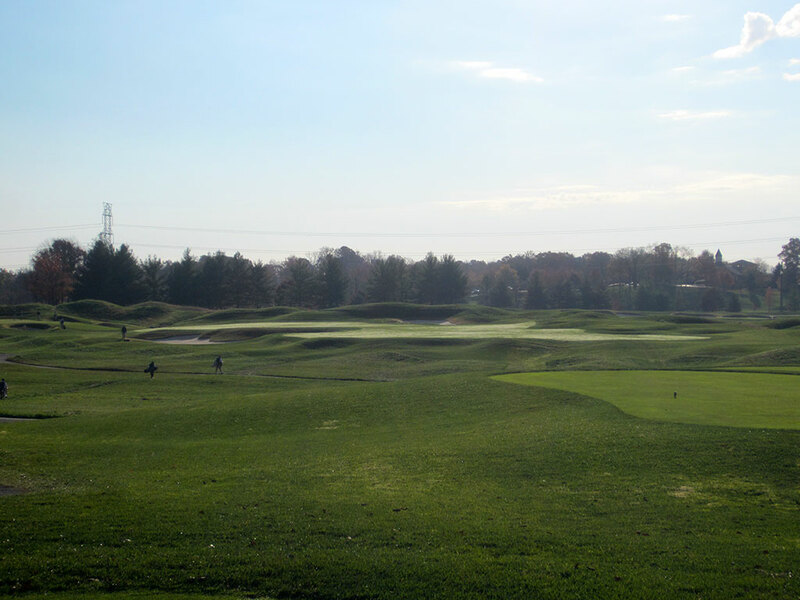 Best Par 3: 3rd Hole – 210 Yards – When I got to the 3rd hole, I felt total relaxation. The peaceful setting is located at one corner of the property and features a forest of trees along the right side of the hole and behind it. Floyd's Fork cuts through the hole beyond the front tee box and plays a factor on tee shots blocked way right or tee shots that miss the bunkers right and careen off the slope to the water. 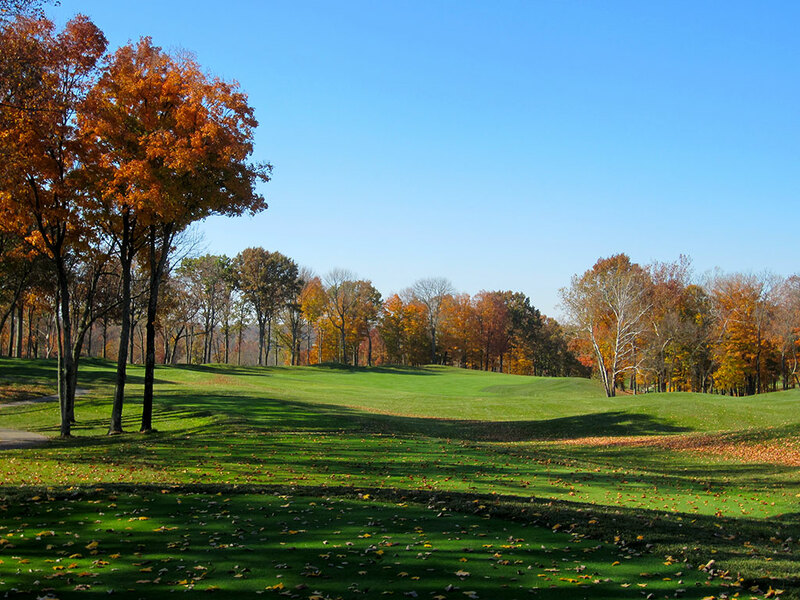 The attractive setting, bunkering, and trees make this Valhalla's best one-shotter. 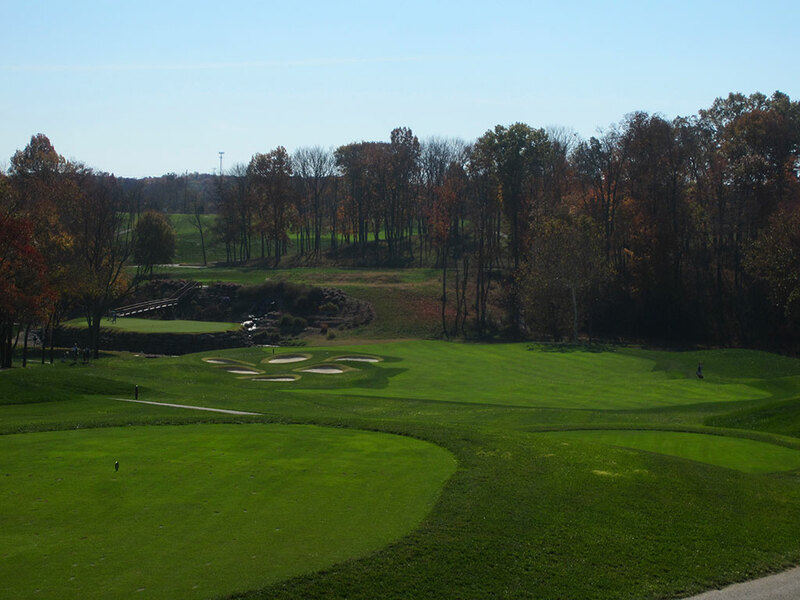 Best Par 4: 12th Hole – 470 Yards – A relentless par four, the 12th is a true test from tee to green. With the green out of sight from the box, the opening shot plays out to a point between the trees before setting up a daunting approach. 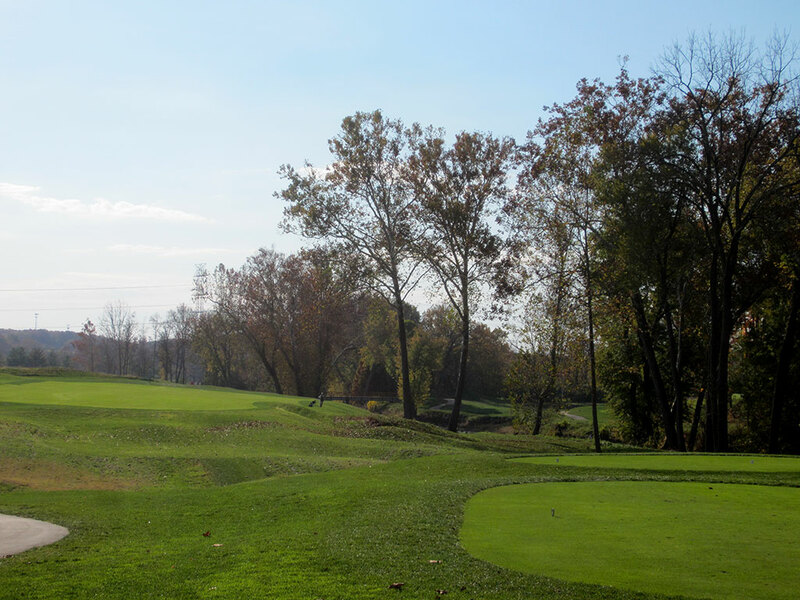 The elevated green sits back in a hillside threaded between the trees and features a deep sand bunker on the right and thick, sloping rough on the left. When I asked one of the assistant pros what his favorite hole on the course was he identified the 12th as Valhalla's premier offering due to the challenge and design. 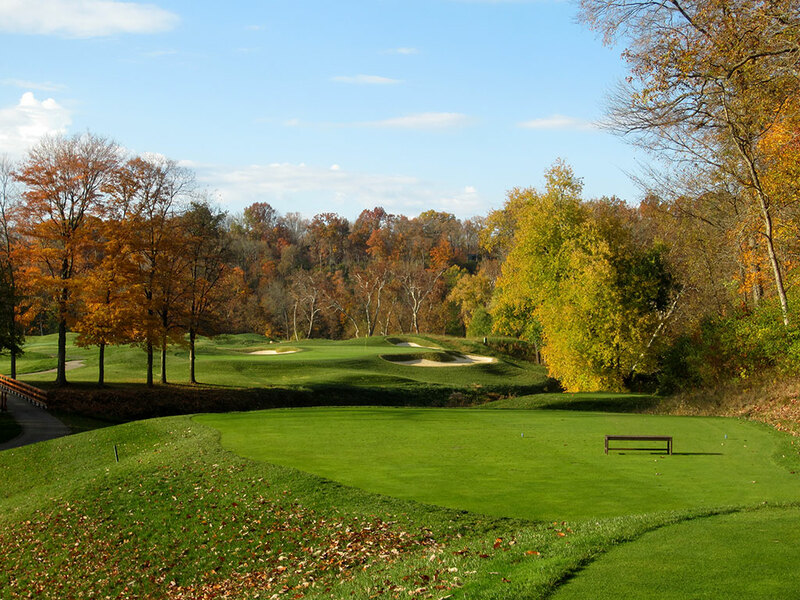 Best Par 5: 7th Hole – 600 Yards – Valhalla's most memorable hole on the front nine edges out the picturesque 18th as the best par five on the property. 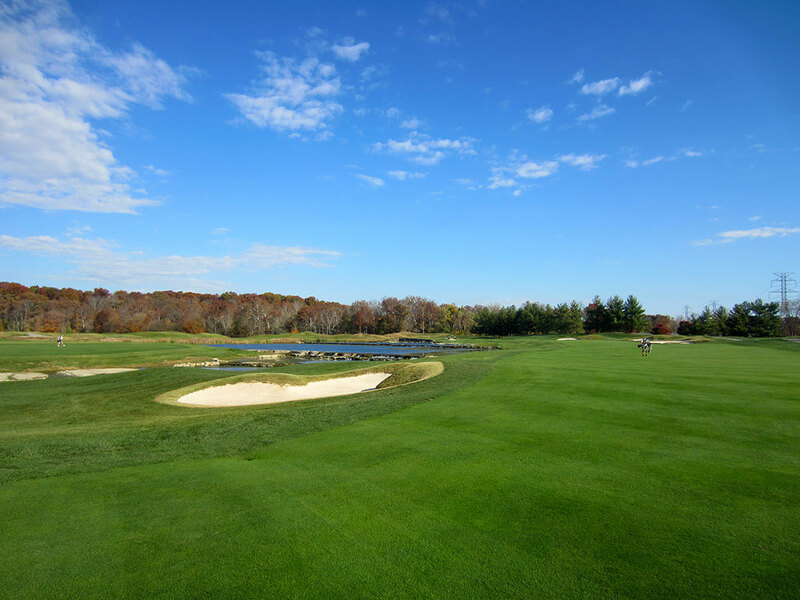 The 18th hole has certainly been involved with significant drama over the years with the PGA Championship and the water feature on the right is beautiful, but the options on the 7th hole make it the superior offering. This lengthy hole features two fairways; a narrower island fairway on the left and the wider safe fairway on the right. Playing to the water surrounded fairway on the left will cut 50 yards off the hole but will also require more precision on the approach since it is a carry over water all the way to the green. The fairway on the right reduces the chances of reaching the green in two, but doesn't eliminate them. If you are a great long iron or fairway wood player then the risk up the left side is probably worth it. If wedges is your forte, then head up the right side and make some magic with your third shot. Birdie Time: 4th Hole – 375 Yard Par 4 – With a bunch of long ballers on the squad, this is the hole that the Americans were banking on to help them during the 2008 Ryder Cup. Cutting the corner on the left side of the hole cuts down the distance considerably and opens up the door for chasing a tee shot onto the green. Even with a conservative tee shot, most players will be left with a wedge in their hands to go pin seeking. At a stern test like Valhalla, take advantage of this scoring hole. Bogey Beware: 6th Hole – 495 Yard Par 4 – After the 2006 renovation at Valhalla, this hole became one of the most difficult par fours you'll ever face. 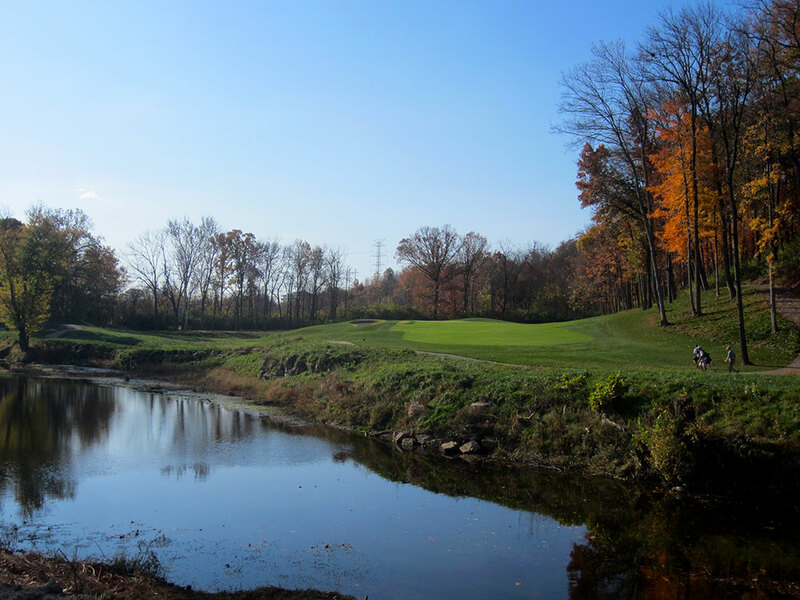 The green was pushed back nearly 80 yards and your approach shot must be played over water to a green site tucked back in the trees on terrain that slopes back towards the hazard. A perfect tee shot is required to have a legitimate shot at reaching the green as anything to the right is block by trees and tee shots too far left will have to contend with too long of grass to get a 5 iron through. When Nicklaus made the changes to this hole some of the membership complained about it being too hard. Unfazed, Nicklaus asked how many players in the group were scratch players from the back tees. When no one raised their hand he said something along the lines of, "There you go. No one is this group should expect to score par on the #1 handicap. Take your bogey and move on."